Why has the national media failed to cover an abortionist's murder trial? At Newsbusters, Brent Bozell describes the national media's avoidance of covering the murder trial of infamous abortionist Kermit Gosnell. While Gosnell has been charged with committing numerous horrific crimes on sympathetic victims, large media outlets have keep the story at arm's length. One emerging story proves the degree to which our "objective" media's views on abortion are dogmatic and extreme. Abortionist Kermit Gosnell is on trial in Philadelphia, and not just for killing babies outside the womb, but also for killing a mother through reckless use of anesthesia. Network TV coverage of the trial? Zero on ABC, CBS, NBC, MSNBC, NPR, and PBS. CNN's entire coverage seems to be one sentence from Jake Tapper on March 21. The New York Times wrote one story before the trial began on March 19 (buried on page A-17). The Washington Post, Los Angeles Times, and USA Today couldn't be "national" newspapers and report this trial. They're not unaware of it. CBS aired one story after the initial clinic raid in 2011. NBC offered 50 words. CBS even passed along that Gosnell's clinic was described as a "house of horrors." Now it's in court, and the networks can't find any horrors. Does abortion on demand really help women's health? Abortion supporters often argue women will die if abortions are banned. National Right to Life's blog yesterday examined how prolife countries like Chile and Ireland have better maternal mortality figures than the U.S. with our abortion-on-demand. Women's health is about education, clean medical facilities and well-trained doctors, not the deaths of millions of unborn children. Both Chile and Ireland are placed among the world safest nations for motherhood in their respective regions. In the case of Chile, excluding deaths due to non-obstetric causes (also called indirect causes), 30 maternal deaths were registered during 2010, with a mortality ratio of 11.9 per 100,000 live births. This places Chile second only to Canada in the American continent, with better maternal health than the United States of America. In Ireland, only three maternal deaths were registered out of 74,976 live births, giving a mortality ratio of four per 100,000 live births, and placing this country among the five nations with the lowest maternal mortality in Europe. Interestingly, these two countries have the least permissive abortion laws in the world, while still displaying negligible abortion-related mortality. This challenges the myth according to which the restriction of abortion leads to hundreds — even thousands – of deaths due to abortion. That is untrue. My body, my choice. Who decides? Only women can decide what's best for them. This decision should be left to a woman and her doctor. Sound familiar? These are slogans abortion advocates use every day. Abortion advocates claim they believe all women should be allowed to choose whether to have an abortion and have unfettered access to abortion. They oppose abortion clinic regulations. They even oppose laws which require minors to receive a parent's consent before having an abortion. While they believe women and female children should have an absolute right to bodily autonomy and abortion, a group of pro-abortion state representatives in Michigan have plans to restrict the rights of minors when it comes to their bodies and their choices. Her right to abortion? Oh no. That's a choice. They want to restrict her right to tan. Representative Jim Townsend has introduced HB 4405, a bill which would make it illegal for a tanning facility to allow a minor to use a tanning device. "This is about saving lives, this is about empowering young women in particular to do what's best for them to protect themselves from a dangerous carcinogen,"
What happened to "her body, her choice?" What happened to her being able to decide what's best for her? Michigan's current law requires tanning facilities to obtain the permission of a minor's parent or guardian before allowing a minor use a tan device. The bill is co-sponsored by Reps. Jim Townsend, Marcia Hovey-Wright, Dian Slavens, Adam Zemke and Ellen Lipton. All of these representatives were endorsed by Planned Parenthood in the 2012 election. All of these representatives think it should be illegal for a minor to tan at a tanning facility with parental permission while at the same time believing a minor should have unrestricted access to abortion. The Philadelphia Inquirer continues their coverage of the Kermit Gosnell murder trial. The latest article focuses on the testimony of Dr. Andrew Herlich, an expert anesthesiologist, and his belief that Gosnell's method of anesthetizing one woman during her abortion resulted in her death. The "custom" formula - a potent cocktail of Demerol, promethazine, and diazepam - that Karnamaya Mongar got several doses of on Nov. 19, 2009, kept her unconscious throughout the abortion. It also put her in a coma and killed her, Pittsburgh anesthesiologist Andrew Herlich told a Philadelphia jury Thursday at Gosnell's murder trial. "The dose given to her exceeded the norm," testified Herlich, of the University of Pittsburgh Medical Center Mercy. "It would make her stop breathing." Questioned by Assistant District Attorney Edward Cameron, Herlich criticized every aspect of Gosnell's use of painkillers and anesthetics. Herlich said that given Mongar's size - 5-foot-1 and 110 pounds - the anesthesia would have put her "into a coma." Herlich also criticized Gosnell's practice of having staff - none with medical training - administer anesthesia and perform other medical tasks. By a 5-1 vote, Senate Health Policy Committee reported Senate Bill 136 to the full Senate for consideration. "The legislation is intended to help protect religious freedom, while still ensuring patients receive the best medical care available," said state Sen. John Moolenaar, R-Midland, sponsor of the bill. He noted health care professionals would be required to provide patients with referrals to other doctors and nurses who would provide the service. Embryonic stem cell scientists practice their "pitches"
For more than a decade, proponents of embryonic stem cell research have been promising cures to nearly every disease under the sun. Deceptive claims and bloated assurances were the driving force which helped proponents of killing human embryos for research pass Proposal 2 in Michigan in 2008. While the cures haven't emerged, scientists in California are practicing selling their bill of goods, intentionally glossing over important issues and moral concerns. The best way to talk about stem cells may be to not talk about stem cells. When Alan Trounson, president of the stem cell agency, talks about the field, he skips discussing the difference between embryonic stem cells and induced pluripotent stem cells. "That language is quite foreign to most people, and they often find it boring," he said. Instead, "finding an interesting anchor is the most important thing." That may mean pulling on people's heartstrings and talking about devastating diseases like Alzheimer's or Huntington's, neither of which has a cure, and both of which are being heavily studied by stem-cell scientists. Trounson and other stem cells experts draw people into their research by talking about real-life implications first, and the lab work later. During testimony on March 20, Dr. Daniel Conway, an expert in neonatal-perinatal medicine, testified that one of the children killed by abortionist Kermit Gosnell was 27-29 weeks old. "I wouldn't be surprised if this baby was 27, 28, 29 weeks," Conway told the court. After examining a photo of Baby A in the fetal position, Conway says he was able to estimate its age based on the baby's skin texture and visible hair. He believes the baby could have survived if born that day. "That baby survives and survives well...an infant born at 27, 29 weeks...85-percent of the time do very well," he said. With the help of the Alliance Defense Fund, Students for Life of Eastern Michigan is suing their university after they were denied university funding for a prolife exhibit. Every student who attends Eastern Michigan is required to pay a mandatory student fee. A portion of the money from these fees provides funding for activities organized by student groups on campus. The student government denied the prolife group funding because they thought their exhibit would be too controversial. Asked by Students for Life why the money was denied, a member of the board of student government said in an e-mail: "The images you want to display are very controversial ... a little biased," according to the lawsuit. The e-mail said that student senators "would prefer to fund something that brings awareness to both sides of the issue." On March 12, a former employee of abortionist Kermit Gosnell was called to the stand to testify about how Gosnell would kill children who were born alive. A former patient also testified about her third-trimester abortion and the complications. Moton, formerly of Upper Darby, said that during the three years she worked for Gosnell, she "couldn't give you a number" for how many times Gosnell used his "snipping" technique on infants born live during abortions. Prolife blogger Jill Stanek reports that Reginald Sharpe's former abortion clinic in Livonia, Michigan has been purchased by a prolife businessman who will not allow abortions to be performed there. The building had been operating as an abortion clinic since 1981. On March 7 Lynn Mills happened by the clinic when a man was changing the locks, and he told her the name of the bank that had taken possession. When Lynn passed by the building on March 11, she saw that the abortion clinic sign was down – for the first time in three decades. Lynn was so overcome she collapsed on the sidewalk in tears and thanks to God. A man driving by stopped to make sure Lynn was ok, and when he learned the building would soon be for sale, he said he would be interested in purchasing it to keep it from becoming an abortion clinic again. When police raided Kermit Gosnell's abortion clinic looking for evidence that he was illegally prescribing drugs, they found evidence of something even more sinister. Gosnell, 72, who owned a now-closed West Philly abortion clinic that prosecutors dubbed a fetus-strewn "house of horrors," faces the possibility of a death sentence for allegedly delivering seven premature babies and killing them by cutting their spinal cords with scissors. In addition, Gosnell is facing what amounts to a life sentence for a slew of other charges, including a third-degree murder count for allegedly prescribing the fatal drug overdose to a woman who died at his Lancaster Avenue clinic following a 2009 abortion. Grand Valley State University's Langhorn features an article on a formal debate at GVSU between prolife students from GVSU and students in favor of legal abortion from Michigan State University. Wright said the smaller size of an unborn baby doesn't decrease the value of him or her and that the level of development of an unborn baby doesn't decrease their value either. "An 18-year-old has a more developed brain, reproductive system, and life experiences, but this doesn't necessarily mean that an unborn baby has less value," Wright said. "For degree of dependency, all of us depend on each other in equal amounts, with an unborn child it's just higher because their younger, which again doesn't decrease its value." "Is it an adequate reason to kill an unborn person because of a lack of human desires and functions?" McVeigh said. "All humans have one thing in common and that's human nature. A humanitarian society should be a fair, equal and loving society that doesn't seek out boundaries that places some humans a head of others; we tear these wall downs." The Financial Times has a story on newly released data from the health ministry in China. According to government sources, there have been at least 336 million abortions performed in China since 1971. China's harsh one-child policy prevents most women from having more than one child. Chinese doctors have performed more than 530m abortions and sterilisations since the government began a family planning policy 40 years ago, according to official data from the health ministry. The figure is an indication of the impact of China's one-child policy amid growing debate about whether a relaxation is needed to avoid causing damage to economic growth and social stability. China introduced a policy in 1971 to limit the size of the population, encouraging couples to have fewer children, and it launched its controversial one-child rule at the end of the decade. Since 1971 doctors have performed 336m abortions and 196m sterilisation operations on both men and women, the data reveal. On March 14, Tom Monaghan, the founder of Domino's Pizza and current owner of Domino's Farms, won a preliminary injunction against the HHS mandate. The HHS mandate would require Monaghan to violate his conscience and religious beliefs or face heavy fines. In January, Monaghan won an emergency temporary restraining order against the mandate. The founder of Dominos Pizza won his bid for a court order to prevent enforcement of the mandate while the lawsuit it filed against the Obama administration over the HHS mandate that forces religious employers to purchase drugs that may cause abortions for their employees continues. Tom Monaghan calls requiring businesses, schools and other religious places to pay for such drugs a “gravely immoral” practice and filed suit earlier this month in federal court for Domino’s Farms, a business development complex he owns. Monaghan says he currently offers his employees health insurance that does not pay for abortions or birth control drugs that may cause early abortions and he has asked a judge to strike down the mandate, saying it violates his First Amendment religious rights. Today, the Thomas More Law Center, a pro-life legal group, informed LifeNews that Federal District Court Judge Lawrence P. Zatkoff of the Eastern District of Michigan granted a Motion for a Preliminary Injunction against enforcement of the HHS Mandate it filed for Monaghan and his property management company, Domino’s Farm Corporation. Pope Francis a strong prolife voice, knows "abortion is never a solution"
During his time as the archbishop of Buenos Aires, Pope Francis recognized and defended the sanctity of human life. Like his predecessors, Pope Benedict XVI and Pope John Paul II, he is a staunch pro-life advocate when it comes to abortion. The Ochsner Medical Center in New Orleans is celebrating a successful surgery on Colby Boudreaux, a newborn baby who had a hole in his back repaired while he was in the womb. At 23 weeks gestation, a team of doctors performed surgery on Colby before he was born to correct this problem. Colby Boudreaux is moving his legs and feet. While this is something most parents take for granted, for the Thibodaux infant, it's remarkable. During the delicate two-hour operation, Ochsner's fetal surgery team worked together to repair the hole in Colby's back. Kaci's uterus was opened by the maternal fetal medicine physicians. The fetus was lifted and held just slightly out of his mother's womb, where the MMC defect in his spine was closed by the pediatric neurosurgeon. After a plastic surgeon closed his skin incision, he was placed back into the uterus. During the procedure, two pediatric cardiologists and two obstetric anesthesiologists monitored Colby and his mother to make sure they remained stable. At the time of surgery, Colby weighed just over a pound. 40 Days for Life's Day 29 update provides stories and photos of prolifers in Lansing, Michigan who are providing a constant peaceful prolife presence outside an abortion clinic in their community. As is often the case, the peaceful vigil is having an effect on the abortion center staff. A man who identified himself as the owner left the building and approached the people praying in the public right-of-way. “I own the sidewalk,” he told the volunteers. “If you stand on the sidewalk, you have to keep moving. You may not put signs up in the grassy area. I own it.” He added – in rather crude terms – that if the vigil participants harassed his employees, he would throw them all off his property. A quick call to the city attorney’s office confirmed that the sidewalk and the grassy area are public property, and there was no requirement to keep moving. According to a local prolifer, one of the buildings which housed a recently closed abortion clinic operated by Reginald Sharpe has been put up for sale. On April 5 and 6, Students for Life of Michigan will host an activism and training conference at Grand Valley State University. The conference will feature various prolife speakers including Right to Life of Michigan's Ed Rivet along with Rebecca Kiessling and leaders from other prolife organizations. If you're a prolife college student in Michigan, don't miss this great event. FOX6 in Milwaukee has the story of Elijah Leffingwell, a 14-week old infant, who received a life-saving surgery while he was still in the womb. April Leffingwell’s first 20-week ultrasound first revealed a macro-cyst. “Thousands of tiny little cysts all the way around the lower left lobe of his lung,” said Jason Leffingwell. “It was so scary. I didn’t understand. Why me? I didn’t think it was fair,” April Leffingwell said. So began the Leffingwell’s journey to the Children’s Hospital of Philadelphia, where they met fetal surgeon Dr. Scott Adzick. Dr. Adzick had video taken of little Elijah’s surgery — a complex, high-risk operation that required taking Elijah partly out of his mother’s womb just halfway through her pregnancy. Dr. Adzick then removed a mass the size of an orange from Elijah’s lung. National Right to Life News Today discusses how a recent decision by a federal district court to overturn Idaho's Pain-Capable Unborn Child Protection Act could lead to appeals and eventually a Supreme Court case. The legislation protects unborn children who can feel pain by banning abortions after 20 weeks. Idaho is one of eight states that have enacted legislation to protect unborn children capable of feeling pain from abortion, but the only one whose law has to date been challenged in federal court. Senator Carl Levin has announced that he will not run for re-election in 2014. The 6-term senator was elected in 1978 and has been a solid vote in favor of abortion for the last 3+ decades including opposing bans on partial-birth abortion and favoring the tax-funding of abortion. According to local prolifers, two abortion clinics in southeast Michigan are closed for business. Both of the clinics were owned and operated by abortionist Reginald Sharpe. Sharpe has a history of botching abortions and has had his medical license suspended various times. Right to Life of Michigan's March 2012 abortion clinic abuses report highlighted some of Sharpe's misdeeds including his dumping of fetal remains and patient records, his negligent post-operative practices, his failure to report abortion complications and his license suspensions. Update: The Observer and Eccentric also has an article covering the closing of Sharpe's abortion clinics which notes he has been sued by various people, including the family of a woman who died after an abortion performed by Sharpe. 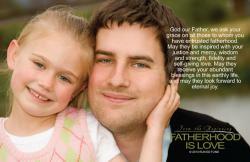 Right to Life of Michigan Educational Fund is now offering Mother's Day and Father's Day bulletin inserts for $7/100. WNEM is featuring a CNN story about a surrogate mother named Crystal Kelley who was offered $10,000 to have abortion by the biological parents after an ultrasound discovered the child she was carrying had medical problems. She moved to Michigan and found adoptive parents for the child. Then the midwife called. She told Kelley the ultrasound showed the baby had a cleft lip and palate, a cyst in her brain and serious heart defects. They couldn't see a stomach or a spleen. Her adoptive parents know some people look at her and see a baby born to suffer -- a baby who's suffering could have been prevented with an abortion. But that's not the way they see it. They see a little girl who's defied the odds, who constantly surprises her doctors with what she's able to do -- make eye contact, giggle at her siblings, grab toys, eye strangers warily. "S. wakes up every single morning with an infectious smile. She greets her world with a constant sense of enthusiasm," her mother said in an e-mail to CNN. "Ultimately, we hold onto a faith that in providing S. with love, opportunity, encouragement, she will be the one to show us what is possible for her life and what she is capable of achieving." Why do we keep fighting to stop abortion? Helen Alvare and Meg McDonnell have an op-ed in the Washington Post which explains why the prolife movement keeps fighting to stop abortion. For starters, science and technology have been very good to us over the past several decades. Embryology, genetics, neurology, not to mention ultrasound technology — they are probably responsible for the fact that none of the abortion-rights Web sites bothers any longer to attack the humanity of the unborn child. Second, the human rights nature of the abortion debate just never gets old. Journalist Gail Collins can characterize abortion as a “privacy” matter 10 times per article, and it still fails to persuade. Pregnancy involves the mother’s body, but the child is not only hers. The unborn child is vulnerable and dependent. Evolving standards of decency compel us to treat the vulnerable with particular care. 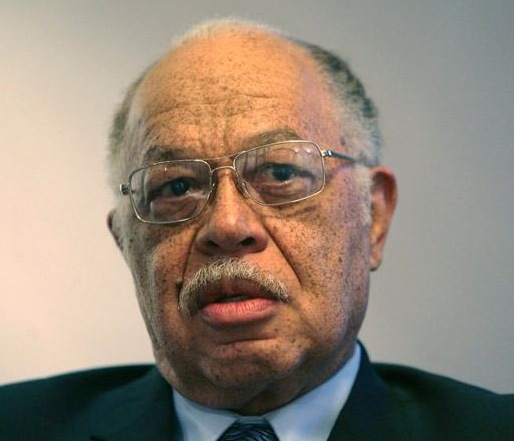 Three years after authorities discovered the horrendous conditions in his abortion clinic and that he had been killing children who survived abortion, Philadelphia abortionist Kermit Gosnell will be tried for 8 counts of murder and a slew of other charges. Gosnell, a lifelong Philadelphian, ran his Lancaster Avenue clinic for nearly four decades, earning millions despite being repeatedly reported to health and licensing officials for shoddy and dangerous practices. But the gig was up after the Feb. 18, 2010, raid, which followed the death of the patient during a late-term abortion and reports that the doctor was operating a prescription-drug mill. The grand jury report that led to Gosnell's indictment stated: "The search team discovered fetal remains haphazardly stored throughout the clinic - in bags, milk jugs, orange juice cartons and even in cat-food containers. Some fetal remains were in a refrigerator, others were frozen." In 1995, while treating twins who were born prematurely, a nurse had the novel idea of placing the stronger twin in the same incubator with her sister, who was struggling to breathe. The healing power of touch quickly became apparent. The Spring 2013 issue of the Right to Life of Michigan News is now online. It features articles on the historic prolife legislative session in Michigan, the conclusion of the Life After 40 campaign, and the 40th annual March for Life.